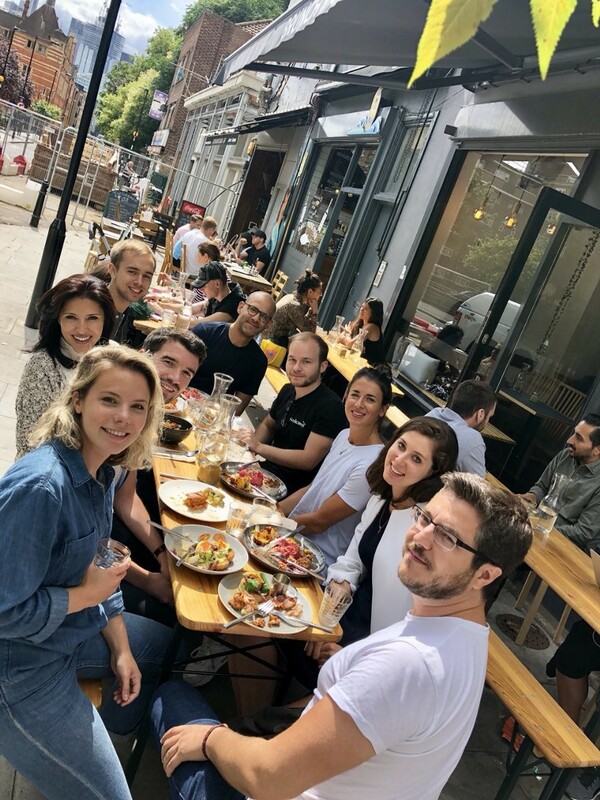 The Seedcamp internship has become a renowned opportunity for people wanting to gain exposure to everything that goes into identifying, supporting and building early-stage companies. We’ve had people go on to launch their own businesses, such as CityMapper, work in portfolio companies, join our core team and develop careers in venture. We’ve been incredibly lucky over the past ten months to have Georg Vooglaid supporting our investment and operations team. We are delighted that he will now be joining portfolio company, Passbase, to lead business development. 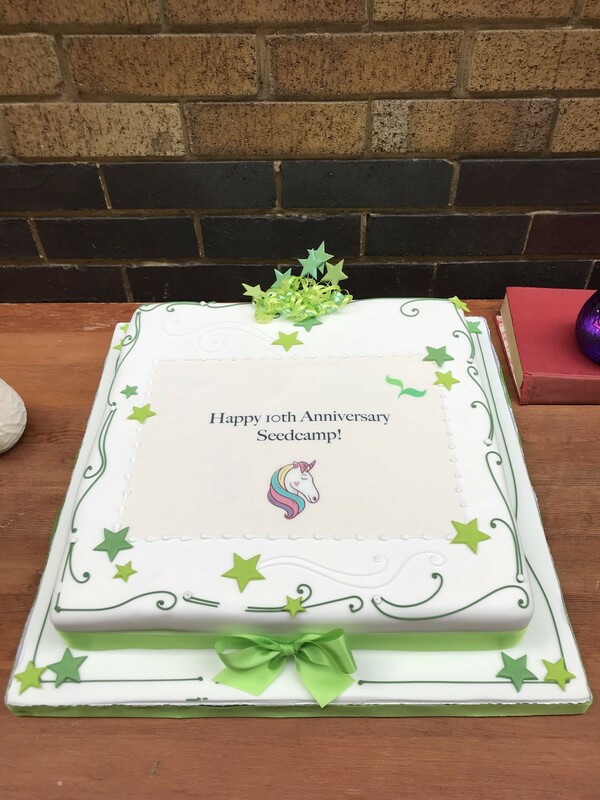 “Three weeks ago, I wrapped up my role at Seedcamp, where for the past 10 months I’ve been seeking for and supporting the next generation of unicorns. Seedcamp is one of Europe’s leading early-stage venture capital firms, operating at the forefront of innovation and often supporting entrepreneurs when all they have is a vision, drive and a track record of executing. Venture capital has always been high up on my professional roadmap, although I was not expecting to enter the sector in such early phases of my career. One of the reasons perhaps is that there is not really a clear path into the industry (although many funds are trying to shift their internal talent pipeline closer to universities), but there was also a level of internal prejudice towards entering the sector without proper founder experience. Nevertheless, when I found out about the opening, something clicked and I jumped towards the opportunity. A year later – hands down the best decision I’ve ever made. Reflecting back on my time with the fund, what’s made it so special are the people. The Estonian in me might not always show it, but on a daily basis I’d learn something from or get inspired by the core team, venture partners, mentors and of course the founders. That being said, that is sort of what you’d expect when joining one of the most experienced names in the industry – proper training of the sector’s underlying principles. Hence, with this blog-post, I’ll try to cover some of the lessons learned, that I see more as positive externalities of the day-to-day, rather than the fundamentals. I recently listened to a commencement speech from a Harvard graduate, which focused on a characteristic tendency of my generation to be constantly in “browsing mode”. Not drawing parallels with procrastination, he vividly illustrates the term through Netflix, where many of us spend huge chunks of time on selecting a movie, not being able to commit to a single one. When entering university one has so many doors to open and options to choose from that it can become overwhelming and create a loop of a constant search for something better. 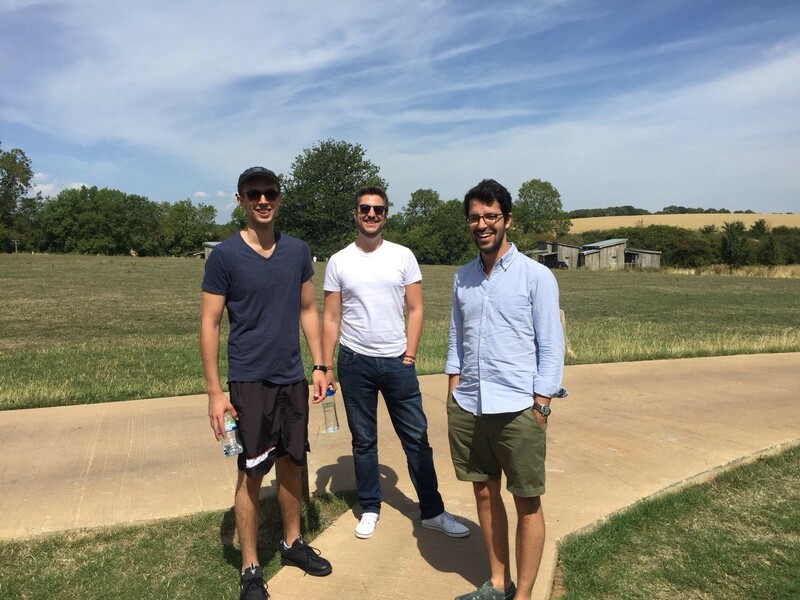 For example, my journey to Seedcamp was not strategic by any measurable criteria, but looking back, the way I got there, now makes a lot of sense. When I first came to London, I reached out to Norris Koppel, the founder of Monese. Back at the time, it was just 6 or 7 of them in a tiny office in Moorgate and I ended up helping them on business development for 3 months. In turn, this led to a summer placement at TransferWise, where I worked in the EU Product Team. Fast-forward another year and my future colleague Kyran was part of a panel held at King’s College. As both TransferWise and Monese are part of Seedcamp’s portfolio, there was a connection point, so we got to talking about opportunities in the industry and when there was an opening at the fund, he reached out. There is a flipside to this however. Cal Newport, author of “So good they can’t ignore you” disagrees with the notion that pursuing your passion will lead to happiness and instead puts forward an alternative formula for accomplishing your goals – career capital. “Career capital are the skills you have that are both rare and valuable and that can be used as leverage in defining your career”. The main reason for his argument is that people have a hard time defining their passion and often confuse it for a hobby. For instance, he draws examples of marketeers turned yoga-instructors, who have failed drastically and contrasts such examples with marketeers changing to TV or PR, where the overlap is much larger. Therefore, having succumbed to browsing mode can be a unique strength for a candidate, but only if they take time to analyse which transferable skills they’ve gained from the experience. Understanding one’s unique set of capabilities and connections will help them leverage patterns and adapt quicker. As a person, I’m quite calculative and quiet, seeking for depth of conversation rather than enjoying a series of small conversations (chit-chat). However, “small talk” is an important skill in the venture capital industry and something I’ve knowingly had to adapt to. So when I had an opportunity to sit down with my manager, I asked for advice on how to improve my communication skills with people I barely know. Prior to moving into venture capital, Carlos worked as an engineer, which means that throughout the years, the nature of his work has become increasingly communicative. The advice he gave me was something out of the ordinary — try reading more fiction. I’ve got to say that initially I was a bit confused: how does reading made-up stories help my problem (besides being a conversation starter of course)? However, the more I think about it, it kind of makes sense. Reading fiction involves interpreting the author’s thought process from an (often) irrelevant story, which is kind of what you are doing in a conversation with someone you don’t know. The topic is often superficial and you are searching for clues into the person’s views and thoughts. Hence, becoming more capable in interpreting fiction could boost one’s confidence in getting to know someone through small talk. In small, flat organisations, such as Seedcamp, it is encouraged to ask for advice, guidance and thoughts from peers. This can however lead to a cycle of convenience, where an individual refrains from taking decisions alone and seeks for reassurance. When I first joined the company, I did not want to make mistakes and tried to keep my colleagues updated with any problems or questions I might have had. Such behaviour however is time-consuming, as it will most likely not become a number one priority for others and waiting for the response can delay the entire process. Furthermore, it becomes distracting for your colleagues, as they might not be as updated with the situation as you are and their inboxes are full of questions needing answers anyway. Hence, the faster one realises that they were hired to bring solutions rather than problems, the better. However, if there is a case where agreement from a superior is needed, I’ve learned that the way one formulates their request plays a massive difference in the outcome. Instead of sending long emails explaining the situation, I’ve come to sum up the background in 1–3 bullet points, followed by a recommended course of action, the reason I think this course of action will work and any potential downsides to this. In case the other party raises any questions, I’ll try to grab them for a quick 5 minute discussion where we can go more in depth and come to a mutual understanding on how to proceed. Back in October, I was having a meeting with Seedcamp’s Tech Lead Miguel and I told him about some of the ideas I’d had based on a recent analysis we’d created on our portfolio companies. He liked the suggestions and recommended I’d send an email to our partnership team, describing the work I’d done and the steps ahead. I felt a bit hesitant, as the solution was not yet fully clear and they consume an overwhelming amount of emails on a daily basis. Moreover, to me it sounded a lot like bragging, which definitely was not my intention. The percentages might not be correct, but it’s true that even in an organisation with less than 15 people, knowing what everyone’s working on is difficult. At the same time, especially in small, agile organisations, understanding what your colleagues are delivering brings both indirect (individual learning opportunities) and direct (increased efficiency) benefits. Not to mention that on an individual level, employees should want their bosses to know about projects they have delivered and the impact those have brought. Yes, again there is a subtle line before it does indeed become bragging, but if one thinks there can be value-add from others knowing about their recent activity, the mental barrier should not become an obstacle. Product-market fit reflects the point where so-called “hypergrowth” kicks in. A lot of companies think they have reached PMF already in their initial traction, but more often than not, it’s not true. There’s a good article written by Tren Griffin from Microsoft, published on the a16z website, explaining what it actually reflects, the process behind achieving it and how to know for sure, whether it’s been accomplished. Starting a business with someone is a serious commitment and there are going to be ups and downs, as in any relationship. For a business to succeed, the founders have to have each-others back, not only in the initial honeymoon phase, but also when times are complicated. Seedcamp’s Managing Partner Carlos wrote a great piece on different stages of any founder relationship, which is really helpful in understanding the other side of the equation. The general point is quite clear, but I’d like to illustrate with a story, which happened at the end of last year and which demonstrates that determination and focus can really get you far. My former colleague was seeking for opportunities to gain hands-on sales experience in the FMCG industry, when she came about the Swedish startup Karma. They had an opening, which seemed perfect for her, but it was the final day of the rolling applications. Although she managed to submit hers before the deadline, she became frustrated with the possibility that she just might have been too late. Hence, she plotted a plan to show the company her passion about the problem they were solving and flew to Stockholm for a day, to meet them face-to-face. After arriving in a country she’d never been before, she made her way to Karma’s office, introduced herself and told them her story. Luckily, the person she had piggybacked with to the office, was the founder of the company. The entire managing staff was clearly wow’ed by her passion and took her in for an impromptu recruiting process. 4 hours later, she was back on the bus towards Stockholm airport and roughly a week later, she had the job. Later she also found out that she’d been right and the position was filled, but the company had decided to create a new role just for her. I’m not saying that the formula for getting an offer is turning up in a potential employer’s office in a different country (kind of a 50–50 situation), but it just goes to show you — there is always a way. Supporting the progress of some of the smartest people in the world is an exciting and rewarding opportunity. That being said, it’s a comfortable position to be in, as you’ve diversified your life-or-death moments between many different bets. When the guys first approached me, they instantly knew what would drive me – sense of ownership and skin in the game. I’m 22 and with every bone in my body, I feel that now is the time for risk, uncertainty and execution. It’s time to walk the walk. The founding team is incredibly smart, but still on the lookout for a major breakthrough. This means that they are hungry – they remain in the office as long as it takes and are driven by execution rather than hypotheses. I’d say they have almost a bit too much self-belief, but it seems like they keep converting it into milestones. It is going to be a demanding environment, but one where I definitely see myself pushing the limits further. 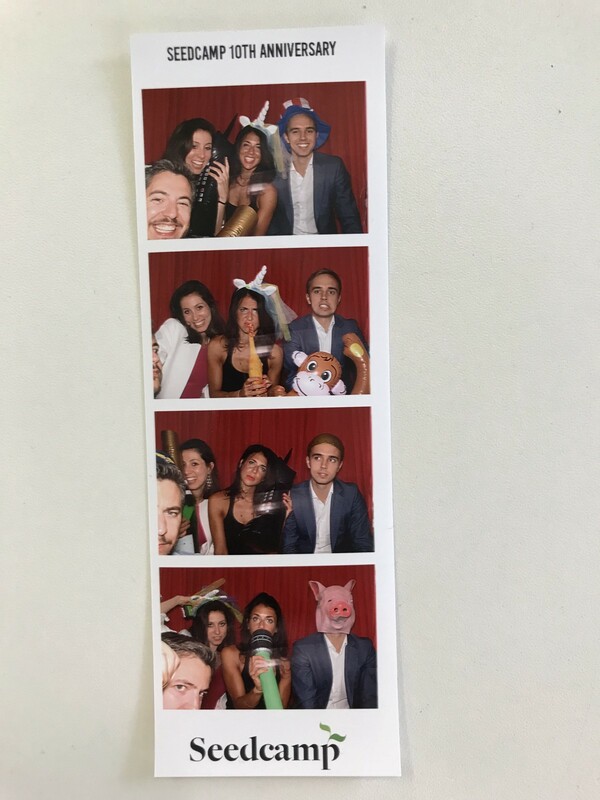 In my career so far, I’ve failed my own startup (5 people), been an early employee at Monese (<20), seen TransferWise at the heart of their growth phase (500+) and worked with several Seedcamp companies in the 1–50 employees range. However, I’ve never seen a company move from one stage to another. It’s almost like I’ve been looking at snapshots of different scenes, but never seen the entire movie. This time, I plan to stick around through the scaling process. Identity verification is a massive problem and one that only keeps growing with more and more services moving online. Understanding how to not just drive efficiency in the verification process, but empower people to take control over their digital identity is such an interesting challenge and I couldn’t be more excited to be continuing my journey with the Passbase crew.